16 Blåsare Utan Hjärna hold prominent members like the Grehn brothers (Magnus appears on this demo, Fredrik Grehn was in the band later) – It is the same Fredrik who also was in Rea Respirator, Löken of Rövsvett and Fabra on drums and Jimpa on bass. I really like this demo and have had it since it was released in 1987. Both fast and slow (even doomy) and with some proto-grind sections. The band put out a few more tapes (I believe this is the first tape) and a few records. 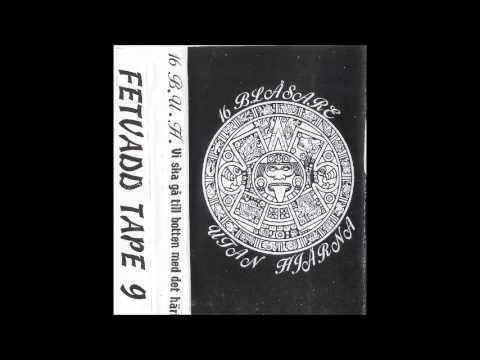 Of this release there is a re-issue of this tape on Norwegian label “Den Onde Sirkel”. As I was doing my fact check for this small writing I found a site called Punk i Tranåswhich hold more info. It’s in Swedish but you not native Swedes can use google translate I guess. 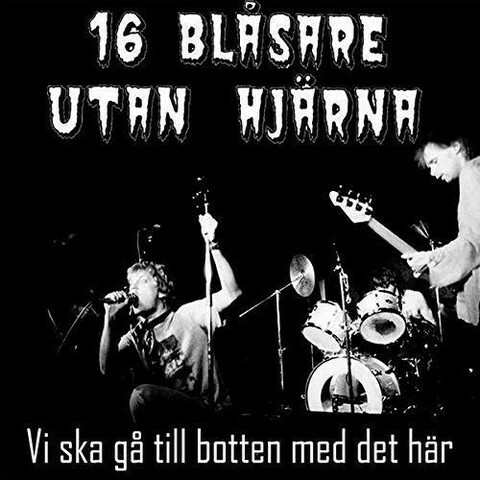 On this site I read that the tape from 1994 “Vi skall gå till botten med det här” is actually a tape release of the planned record on Dissonance Records of which only test-presses was made.